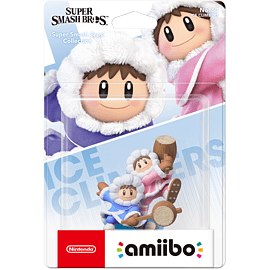 The Ice Climbers , Popo and Nana, a boy dressed in a blue Inuit parka and a girl dressed in a pink Inuit parka respectively, are the stars of the NES game Ice Climber. These two have always been pioneers and have scaled many icy mountains in their time. In their glory days they pursued a condor who, peculiarly, had possession of cucumbers, eggplants and various other vegetables.